There are so many possible things to do with Excel that it's easy to get stuck on something. Your first instinct should be to Google your question. But when looking for something really specific, that doesn't always work. In that case you can ask your question to real people on a forum. In this short post I'll share with you my 3 favorite places to ask questions about Excel. 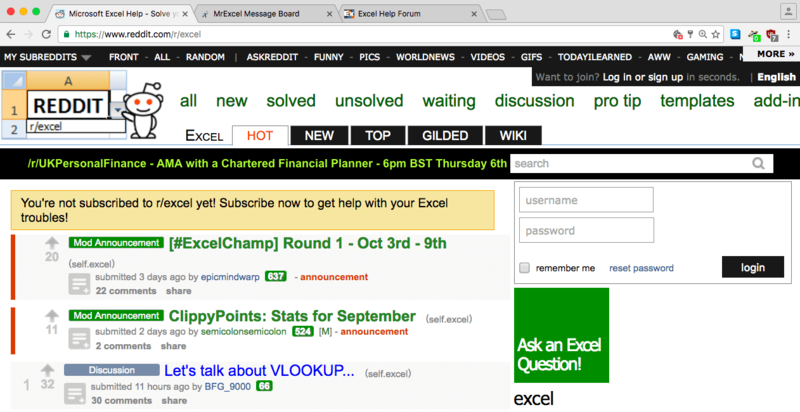 There are over 50,000 members in this active community about Excel. You can post any type of questions and you'll get answers quickly. However it's more than just Q&A, people also share interesting news and useful tips. 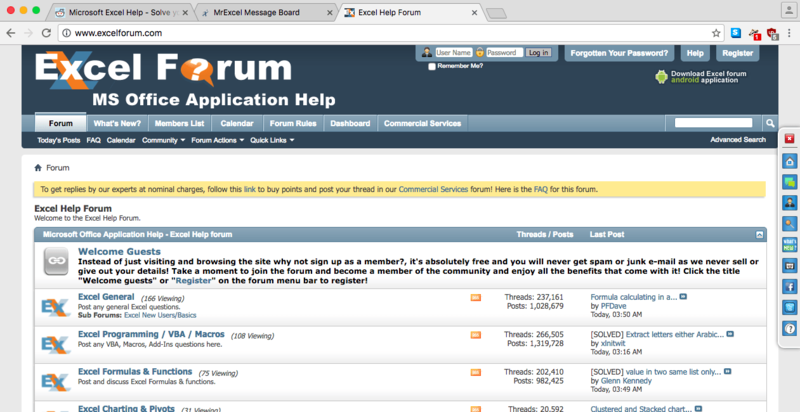 If you spend some time there you are guarentee to lean new things, that's why it's my favorite forum. 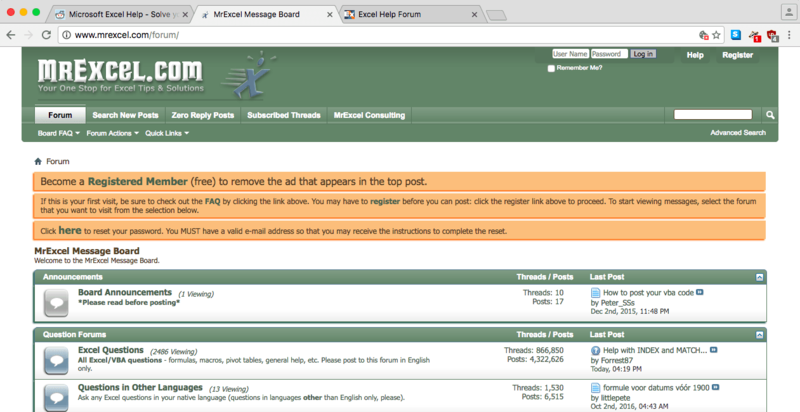 This one is probably the biggest forum, with literally millions of posts and even more answers. This is crazy! The community is neatly divided into multiple sub-forums, this way you can quickly find exactly what you are looking for (functions, charting, VBA, etc). This one is very similar to the previous link. It might have a smaller community, but it's still an interesting place to go. So make sure to check it out!